“80 percent of success is showing up,” Woody Allen famously said about life. Marketing in 2014 is not much different. You need to show up when consumers search for your product or service on Google, when you are spoken about on social media, or when you receive a review or a comment. You don’t need a litany of statistics to know that showing up on the Internet reaps big profits. You already know it. We all turn to Google, social media, review blogs, and other places on the Web when we make most decisions in life in 2014, including purchase decisions. It’s a fact. Yet, many brands still miss out on the vast opportunities search engines, blogs, and social media have to offer. They fail to show up when consumers search for or talk about them. At the focal point of decision making, when the purchase intent is as high as it gets, they leave money on the table. Do a quick test, right now and right here on your mobile phone. Google a couple of keywords that best describe your product or service. Not your brand keywords, but more generic terms. If they can’t find you, you don’t exist. If you don’t talk to them, you are not relevant. Without awesome content, you are boring. Are your sales falling despite skyrocketing investments in ads? It’s because only around 0.10 percent of people click on banner ads today. So the ad industry counts and charges for ‘impressions,’ a third of which are not even seen by humans. About 86 percent skip TV ads, and 44 percent of direct mail never gets opened. The list goes on. There is just too much going over the Internet for consumers to ever enjoy being interrupted. Marketing in 2014 and beyond is not about interrupting consumers when they enjoy content. It is about ‘being’ that content. There are many reasons why you may not be using inbound marketing channels (such as SEO, blogging, social media, and newsletters) to drive leads. You might have tried, got burned and given up. I hear it all the time. Trust me, it’s not that inbound marketing is not working for you, it’s the other way around; you haven’t made it work for you. Or…you might have gotten in trouble with Google for being irresponsible. Examples include outsourcing your SEO to Philippines that guaranteed to ‘get you on top of Google for 10 keywords’ for a couple hundred bucks. I’ve had a chance to interview a number of SEO spammers in my career as a journalist. Sadly, they all share an obsession with fast money, contempt for the searchers tricked into consuming their low-quality content, and the strangely irrational belief that they’ll always be able to operate outside the reach of the law. The good news is that marketers who are using smart SEO approach will actually profit much more over time than those using the crude, risky optimization tactics of the past. Over the years, SEO ‘practitioners’ have contributed to a massive amount of spam and poor quality content on the Web. They broke directories, stuffed content with keywords, spammed the comments on blogs, bought and traded links in order to game Google’s algorithm and push mediocre content toward the top in keyword rankings. Well, it was bad, and sometimes ugly, but it worked! 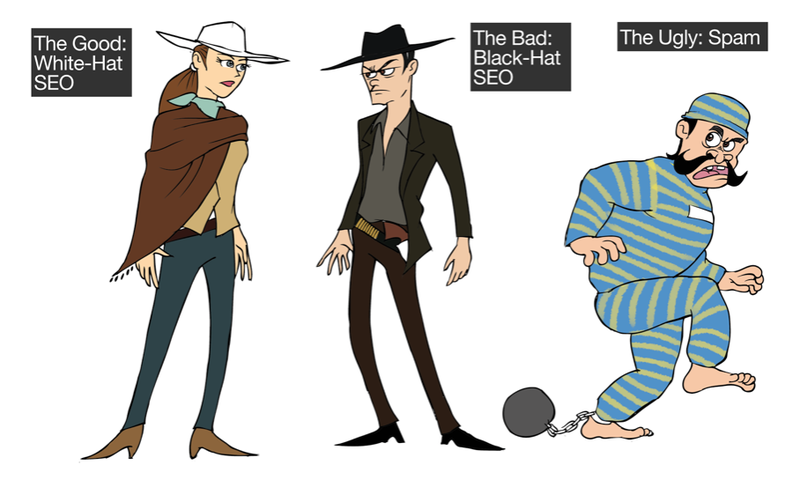 I often call this period the ‘Wild West Era’ of SEO. You still need to understand how the search algorithm works to make your content perform on Google or on Facebook’s Graph Search. The game change is that, as marketers, we can’t be merely concerned about the ‘keyword.’ Instead, we must optimize our content to relate to ‘who’ typed it into the search box. Google’s algorithm is essentially a machine trying hard to think like a human. Thus social signals, author authority, and any type of user engagement metrics are becoming a big part of how Google decides what goes on the top. Instead of chasing Google’s algorithm, get in front it. Put the user first. In 2014 and beyond, marketers need to align their keyword strategy along the user journey, emphasizing the connection between content and intent (i.e. keyword) through methodical audience profiling, research and analysis. The key to SEO success is to focus on quality: quality optimization, quality content and quality relationships! With quality on your side, both users and the algorithms will be on your side as well. Quality Optimization. Optimizing your website to help search engine spiders understand what your content is about through on-site technical SEO. Quality Content. Creating valuable content for your target users that is both shareworthy and linkworthy. Quality Relationships. Building strong relationships with others in your industry through social media to amplify your content and improve your chances of gaining valuable backlinks to your website. Buying Links. Participating in any type of link schemes or farms. Paying for links is a major violation of Google’s terms of service. Acquiring poor quality links. Creating hundreds of low-quality backlinks manually through directory submissions and commenting. Google knows better; you should too. Article spinning. Rewriting and publishing low-quality content at scale across the Web. Those links are garbage. There are many forms of spam that the shady Internet element of hackers and unethical SEOs thought of over the years. It’s a big problem for Google, which is constantly trying to filter its search results from spam. Fake accounts, reviews or comments. You can also get sued and fined. Content spam. These techniques involve keyword stuffing, doorway pages, or hidden or invisible text straight from the 1990s playbook. Spam blogs. Blogs built on stolen, duplicate content with thousands of useless web pages. These sites exist only for monetization and provide no value to the user. Read next: Google’s Penguin is flapping again – but what about the much-feared guest post penalty?